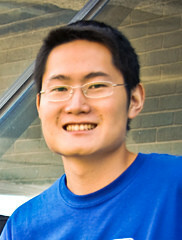 IR doctoral student Kun Lu was one of the first two graduates of the PhD program in Information Studies this past summer. Kun’s dissertation, “Assessing Systematic Topic Difficulty Based on Query And Collection Features,” investigated a timely area and proposed two new measures. Dr. Lu is now an associate professor at the School of Information Management at Wuhan University in China. Congratulations, Kun!